Arki wasn’t happy with the length, shape or color of her teeth. This was holding her back and preventing her from smiling. We did a new smile design for Arki, showing her what a bigger, whiter smile would look like. 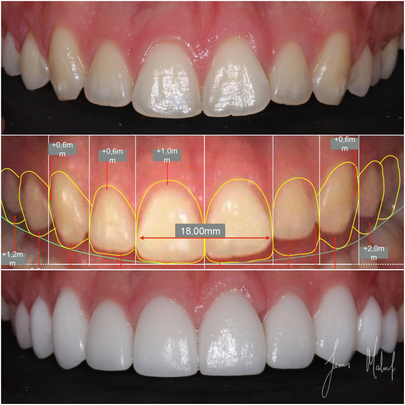 We used porcelain veneers to create her new smile. We added length to the teeth; made the shape of the teeth more uniform; and made the color white and bright to give Arki her beautiful new smile.